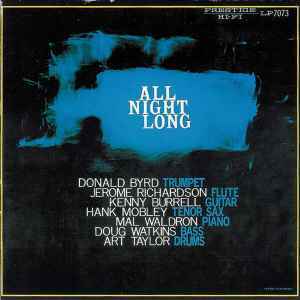 The LP of All Night Long had no leader designated. The musicians were listed on the album cover as well as the liner. It wasn't until many years later that someone decided to invent the name "The Prestige All Stars" to describe these leaderless sessions of 1957 and 1958.